Choosing Hallmark Homes as our builder was the best move we made, the whole team certainly went the extra mile to make everything we wanted happen. The whole process from signing the contract through to handover couldn’t have been easier. The Hallmark Homes quality and finish is a million-dollar standard, we both couldn’t be happier. We don’t hesitate at in recommending Hallmark Homes. PS – Thanks again team, we are so happy with the final product. 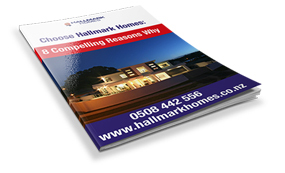 We thoroughly enjoyed working with the Hallmark team on the build of our new home. The whole process from start to finish was an easy one for us. The team were always enthusiastic and helpful at all project meetings, resulting in a perfect and beautiful house that we are so proud of. The skill and attention to detail was always of a high standard, nothing was ever a problem to them.We would be happy to recommend Hallmark and their team. If we ever decide to build again in the future, Mike Bonne and his team would be our first choice. Integrity of conduct and workmanship, Good communication, Flexibility. The Hallmark team performed very well on all. The job was a replacement insurance rebuild of our earthquake damaged house. We needed assistance with costing a like-for-like rebuild of the existing house. We also needed help with design and costing of a replacement house which fitted the limitations imposed by the insurers, the site, and our budget. This proved to be a long process. Mike and Jodi both had a very positive and helpful attitude and were particularly patient and thorough. We could not have achieved such a satisfactory result without them. We wanted a high quality job. We had been impressed by the attention to detail in their previous work. They delivered exactly as we expected, and they promised. On budget and on time! The occasional problems and mistakes were dealt with promptly and professionally. We had previously managed our own building projects. Signing a contract was a new experience for us. We wanted to undertake some parts of the build process ourselves. The Hallmark team was very obliging and easy to work in with on every part that we undertook between demolition and landscaping. The Co-Construct system was user friendly and very helpful in providing easy and up to date access to all of our specifications and any variations agreed to. It also made it easy to keep a track of costs, especially with choices and variations. The Hallmark team members were a pleasure to work with. “We are delighted with the pro-active, quick and pragmatic approach you have taken to this matter. We are very happy with what you suggest, and again thank you for this. Very much looking forward to the concrete being poured and the continuation of the build. We have been extremely happy with the way things are progressing and this reinforces in our minds how happy we are with the decision to use Hallmark Homes to build our home. Mike went out of his way to explain procedures involved in the various alterations that were going to be made. We found him easy to talk with and very accommodating of any fine-tuning of our plans which we proposed from time to time. We have often commented to others how smoothly the whole repair process has been for us, and much of the credit for this must go to Mike and his team at Hallmark. We highly recommend this company and are most grateful for the wonderful job that they have done. “We love to live in our Hallmark home. You and your team guided us with planning our rebuild, to follow the basic design of the previous damaged house, and you suggested improvements like better foundations, insulation, cladding, roofing and equipment, to make it as future-proof as possible. We were able to move back in on time, as planned. There were inevitably various small adjustments to be made over a period. Debbie and your team always handled these with patience and prompt action. We are grateful to you all for your support. We are delighted with the result and would fully recommend Hallmark Homes. “We’d like to thank Mike and the Team at Hallmark Homes for the rebuild of our new home at Seamount Tce. We could not have asked for a better builder and feel it’s right up with any show home in Canterbury. We have received a most wonderful Gift Picnic Basket at the handover of our Seamount Tce property. “Thank you so much to Hallmark for building us our dream home. We had our own plan and layout ideas and when we saw their show home we were so impressed as it suited our lifestyle perfectly. With a few changes we now have a lovely home that is beautiful and suits our needs as a family. We’ve had a wonderful experience right through from our plans, project management to move in day. Mike Bonne, Deb Stewart and the team were great to work with and made the building process a lot easier. Would definitely use Hallmark Homes again in the future. “Mike, Esther, Chris and the team at Hallmark Homes always treated us, our ideas and wishes with respect. They helped and guided us through the building process, incorporating our vision and desires. We now have a home of the highest standard, of unique design and exceptional finish. “We are thrilled with our new home built by Hallmark Homes. They made the experience stress free. Helpfull advice was given every step of the way. We are now the proud owners of a high quality and well built low maintenance home. We selected our plan from their wide range of plans and were happy to modify to our needs”.